When a major new book on historical jewelry is due to be published right before your birthday, you know that the fates are smiling on you. 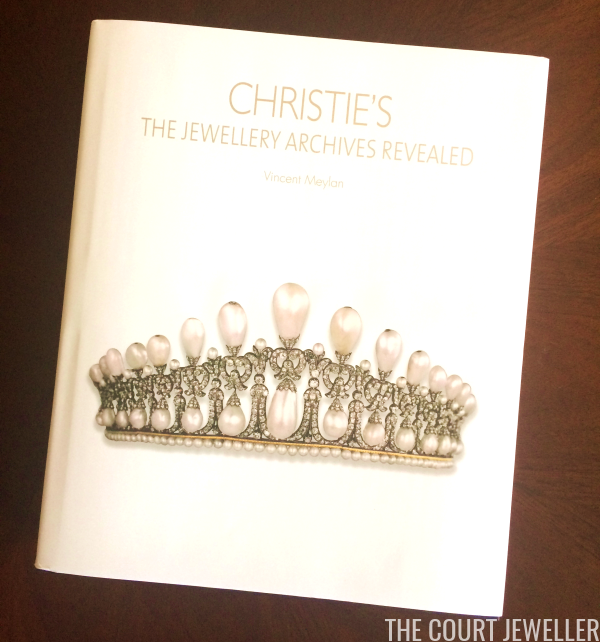 To celebrate my birthday today, I'm going to give all of you a peek inside Vincent Meylan's stunning new book, Christie's: The Jewellery Archives Revealed! As the title suggests, Meylan has been granted access to the archives of one of the most famous auction houses in the world, and he's produced a beautiful book detailing many of the fabulous jewelry sales that happened inside their auction rooms. From royals to aristocrats to movie stars, the book covers a range of jewelry auctions at Christie's from the past two and a half centuries. For devoted royal jewel lovers, the book covers well-known auctions, like the sales of the French and Russian crown jewels. 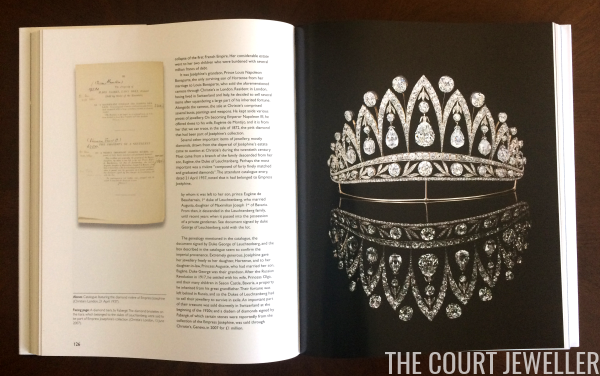 The cover of the book features another well-known royal jewel: the original Cambridge Lover's Knot Tiara, which was auctioned by Christie's in 1981. But we also get small tidbits of information that help flesh out our knowledge of various pieces. I was intrigued, for example, by the discussion of a 1937 auction of one of the fleur-de-lys elements that once sat atop Norway's Maltese Circlet. And here's a glimpse of one of my favorite sections, which discusses jewels worn by Queen Victoria's granddaughters. 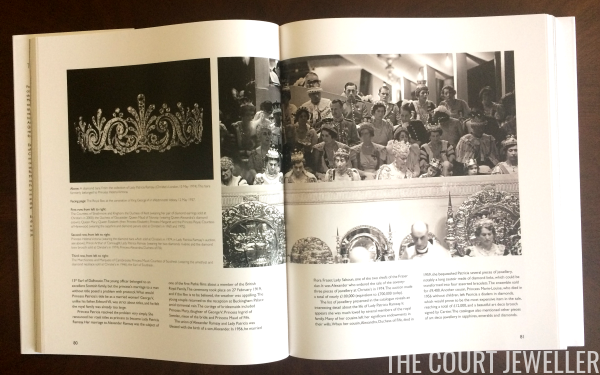 Meylan has matched up a photograph of the royal box at the 1937 coronation with records from the archives, and he details precisely which jewels were later sold at Christie's. It's completely fascinating. Another favorite feature: the appendix which lists, by date, auctions at which jewels with prominent provenances were sold. The book is expensive -- definitely a gift purchase rather than something you'd buy on a lark. (Though Amazon is currently selling it for 25% off the advertised retail price!) But for your money, you get a large, weighty coffee-table sized tome. The paper is good quality, and the book feels expensive when you read it. The book was published by the Antique Collectors' Club, which was also responsible for royal jewelry books like Geoffrey Munn's Tiaras: A History of Splendour and Meylan's 2014 book on Van Cleef and Arpels. This would be a perfect holiday present for someone who loves jewelry, history, and beautiful things. If you read this blog regularly, I can guarantee that you'd love it. I'm still having fun savoring it! Note: I purchased this book using revenue that I received from the Amazon affiliate links on this site. (So, really, it came from all of you: thank you!) I put all money that I receive from these affiliate links back into materials for review on the blog, so if you want to read more reviews, consider purchasing items through the links on this site. Thanks, everybody!